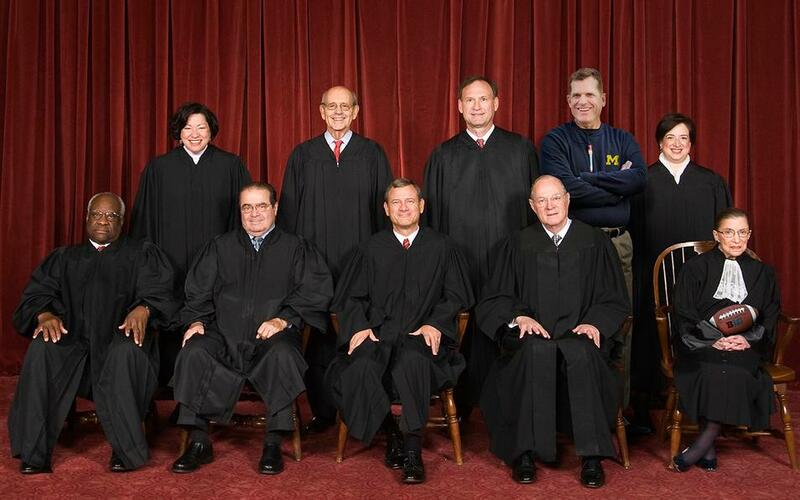 Michigan head coach Jim Harbaugh visited the highest court of the land this past April and had the opportunity to chat one-on-one with several Supreme Court justices. He met with five of the nine justices to include Chief Justice Roberts, Justice Kennedy, Ginsburg, and Kagan. However, his meeting with Justice Clarence Thomas proved to be the most memorable as Harbaugh commented on Thomas’ enthusiastic charm and personality. Harbaugh had the opportunity to shake hands with the justices, pose for pictures, sign some autographs and learn a little about the justices and the Supreme Court.